Gus Paidousis is currently the Security Chief for the Knox County, Tennessee, School District, leading a force of over 100 armed security officers to protect 59,000 students and approximately 8,000 staff members. Mr. Paidousis has been with the school system since May 2013. 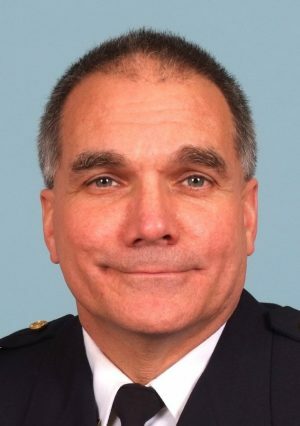 Prior to serving the school district, Mr. Paidousis served the Knoxville, Tennessee, Police Department for 31 plus years, retiring as a Deputy Chief. Mr. Paidousis has served in a variety of roles throughout his law enforcement career, to include Patrol Officer, Training Director, Staff Officer to the Chief of Police, as well as Deputy Chief of the Patrol, Criminal Investigations and Support Services Divisions. He was a member of the department’s Special Operations Squad for approximately 12 years and was instrumental in developing and implementing the East Tennessee AMBER Alert Plan. Mr. Paidousis is a graduate of East Tennessee State University and the 191st session of the National Academy conducted by the FBI. He also graduated from the 27th session of the Police Executive Research Forum's Senior Management Institute for Police. As an associate with the National Criminal Justice Training Center, Fox Valley Technical College, Mr. Paidousis has instructed and presented nationally and internationally on a wide range of child protection topics over the past decade. These topics include the scope and scale of the problem of missing, abducted and endangered children; initial law enforcement planning and response to missing and abducted child incidents; leadership issues around these case types; AMBER Alert program policy and procedural considerations; and Child Abduction Response Team (CART) development, policy and procedures. Mr. Paidousis also serves as an assessor for the AMBER Alert Training and Technical Assistance Program’s CART Certification process.